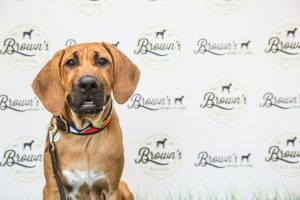 On Saturday 27th April 2019, Brown’s Natural Pet Store will host another Puppy Party! *BOOK FAST* – LIMITED SPACES AVAILABLE! Bring your new pup along to our Ferring store to mix and mingle with other doggies in a safe, friendly and fun environment to help them socialise. 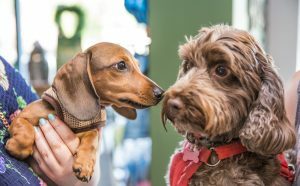 Our consultants will be on hand to offer you advice across our range of toys, treats, foods and pharmacy, as well as a brief introduction to grooming. – teenage dogs -problems & how to manage them etc. 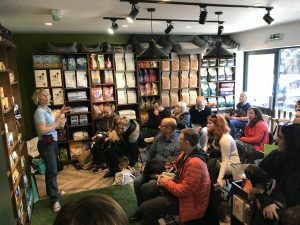 Our puppy party is a great way to help socialise your pup with other dogs, meet and chat to other owners and importantly learn about some of the key products that will become a regular in your dogs daily routine. Registration is free and all participants will receive a free goodie bag, a presentation from an industry expert (Schooling4Dogs) , free treats from Ziwi Peak, plus the chance to play and test our toys in our socialisation area. This month we are again offering two parties on the same day, one for dogs aged 3-6 months and then one for 6-12 month old dogs.